REGINA -- One of the people who was wounded last month in the mass shooting in a northern Saskatchewan community has been released from hospital. 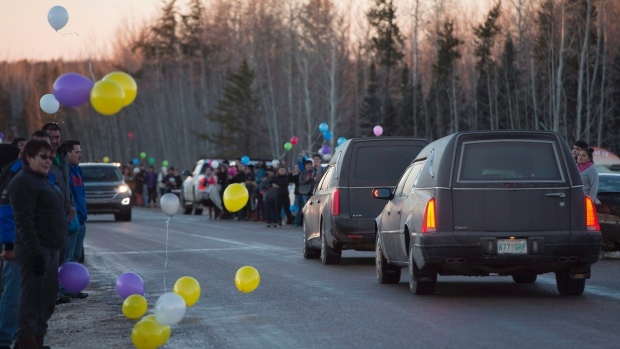 Four people were killed in La Loche on Jan. 22, including two in a high school, and seven people were injured. Four of the injured were flown to a Saskatoon hospital for treatment. The Saskatchewan government now says three of those four victims are still receiving care from the Saskatoon Health Region. The government says no other details can be released because of privacy rules. A 17-year-old boy faces four counts of first-degree murder and seven counts of attempted murder.